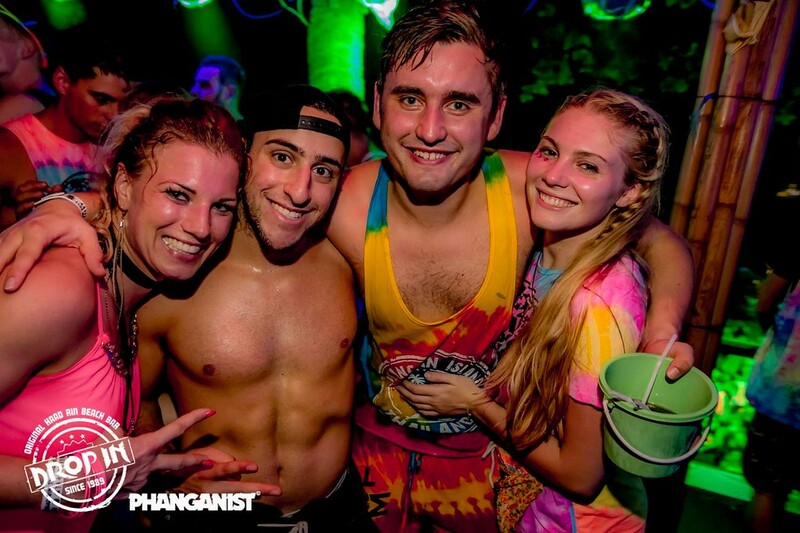 While on Koh Phangan – Be a Phanganist! A warm welcome to Phanganist Hostel! -The island’s brand new unique ‘Flashpacker’ accommodation in the heart of Koh Phangan. 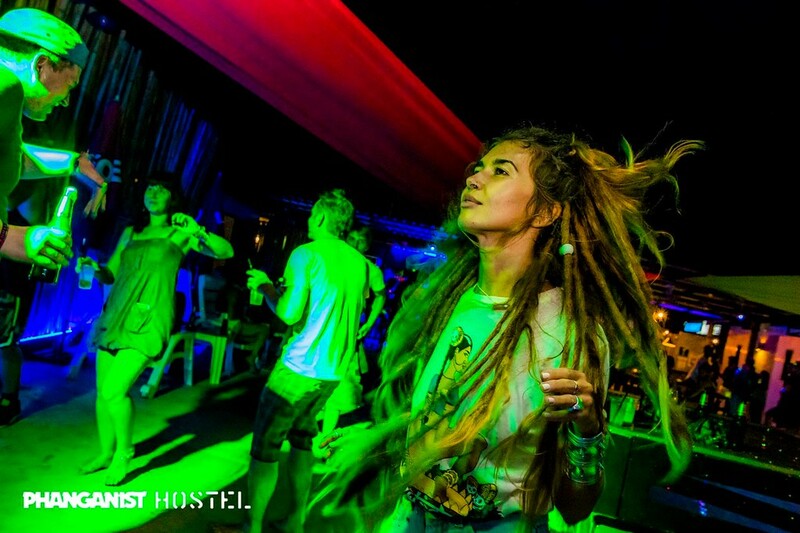 Phanganist Hostel is the result of collaboration between Phanganist.com, Koh Phangan’s main online portal and Drop In Bar, the biggest and longest running beach bar of the Full Moon Party beach, Haad Rin Beach. 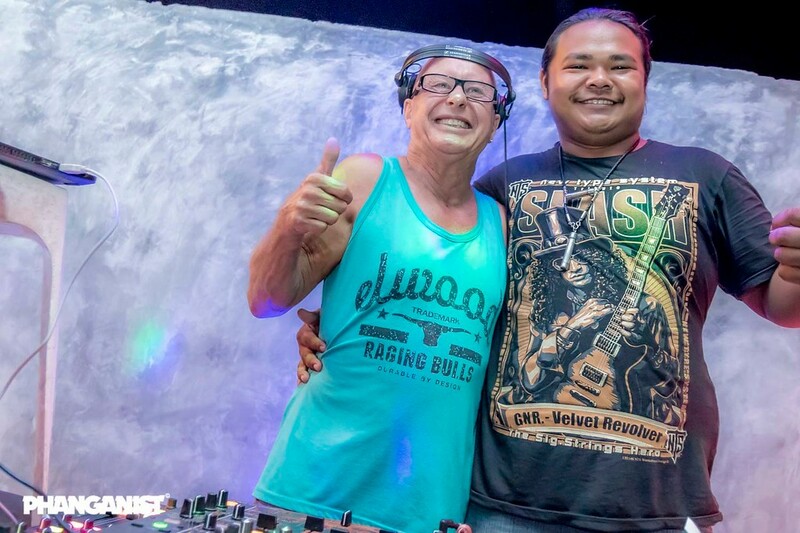 Together we have more than 25 years’ experience in the tourist industry on Koh Phangan and we are experts in entertainment, hospitality and have a wealth of valuable knowledge of the island and what guests really wants. We consist of a colorful team from around the world and we are all committed to making sure all our guests have the best possible time! The beauty of Hostel life is the never-ending beauty of people you will meet there, the atmosphere and festive vibes but as essential is the comfort. At Phanganist Hostel we can guarantee that you won’t be lonely while staying flashy and sleeping like a king in your big upscale bunk bed with privacy curtain, bed dividers, power outlet, bedside lamp and big locker for all your travel gear! You will have the world of this magical island at your feet here with Phanganist friends and family. All devoted to giving you the true Koh Phangan experience! Phanganist.com have captured all the most remarkable and memorable moments of the islands famous party scene, festivals, real life stories of local establishments, personalities and artists through photos, videos and articles for almost a decade now. Our website office, Phanganist Headquarters, is located in Phanganist Hostel so when you stay with us, you are also a part of the ongoing story we write about Koh Phangan every day. We thrive on versatility and are always eager to meet new people and explore new adventures. 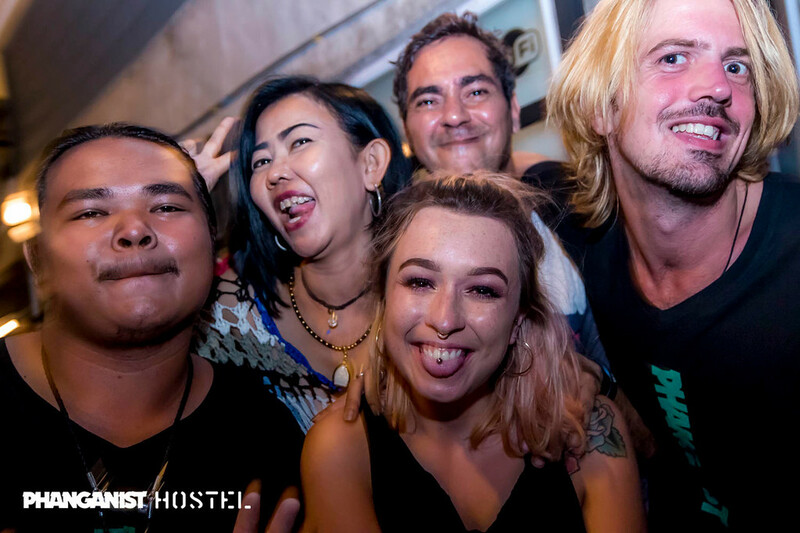 Our door is always open and our team welcomes everyone who has new ideas for the hostel events, projects, trips, happenings or who would be interested in us publishing ‘Your Koh Phangan experience’. We are a living online magazine right in your dorm. Be a living part of the written story of this magical island we call home. Write the story of Koh Phangan with us! 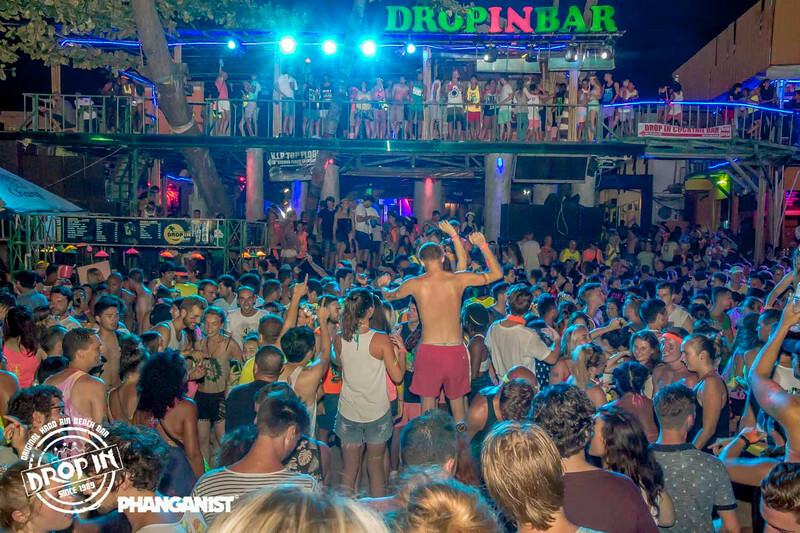 Drop In Bar is the biggest and longest running beach bar of Haad Rin Beach. 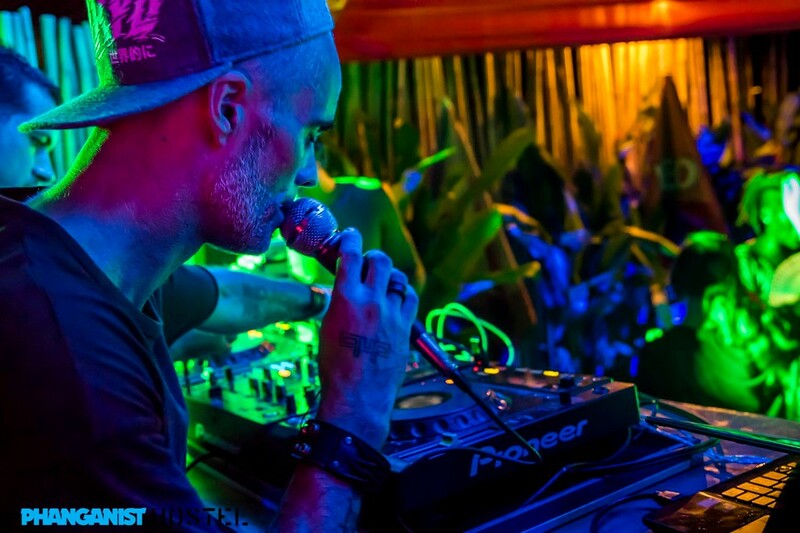 It was the very first and original beach bar on the Full Moon party beach and the party at Drop In Bar started almost 30 years ago. Back then on what used to be a deserted beach, the tunes began playing from a power generator with drinks coming from an icebox. Over the years Drop In Bar have grown massively in size and audience. Drop In Bar were first movers with most of the entertainment still happening daily including the famous burning skipping rope, the ring of fire and the incredible fire shows. 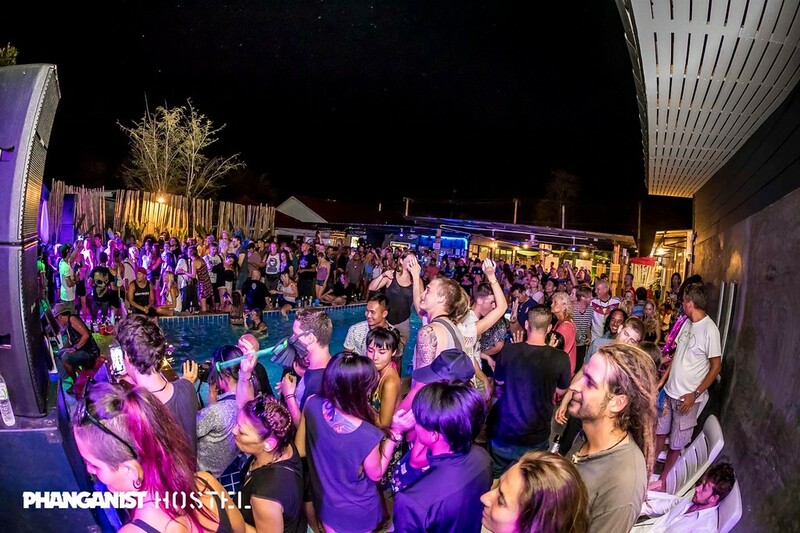 Our venue attracts thousands and thousands of party goers every month and we are famously known for the awesome beach parties happening every day. 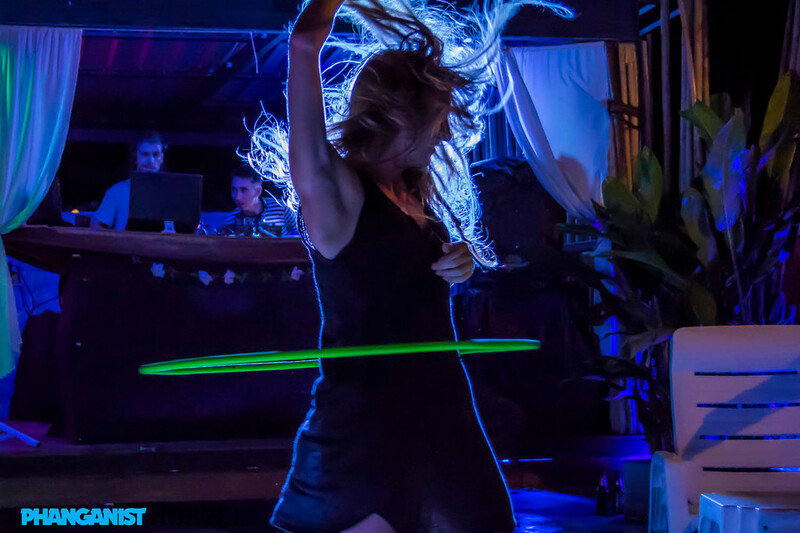 We connect with the crowd on a more commercial level and we guarantee to give you a night to remember partying on the beach on a paradise island in Thailand. We also take good care of our people and as a Phanganist at Phanganist Hostel you get a free drink every night at Drop In Bar. Guests also get priority access to tickets to the brand new VIP area in Drop In Bar, where you can enjoy the Full Moon Party above the crowds with an incredible viewpoint of Haad Rin beach! Come rain or shine, moon or no moon there is always a party at Drop In Bar! Phanganist Hostel – Where the magic begins! By collaborating one of the islands biggest event makers with the islands most unique and versatile online platform, Phanganist Hostel brings the island a new playground for all creative flair offered to our guests and local residents on Koh Phangan. 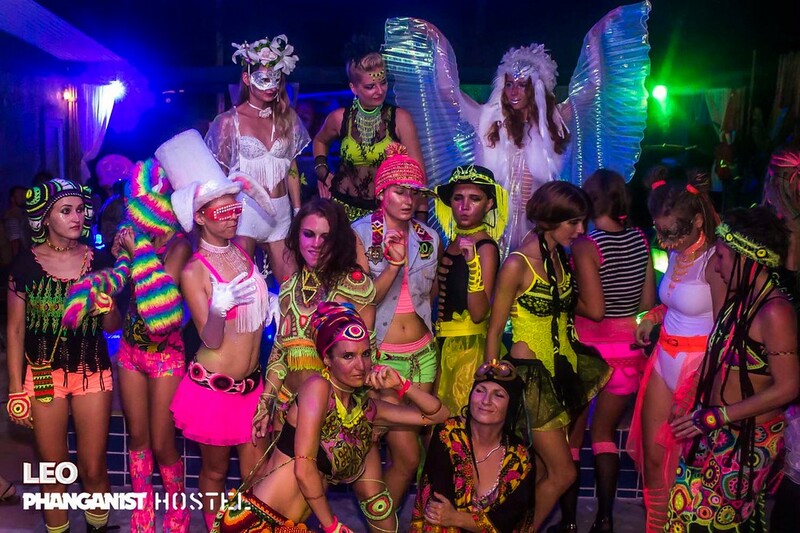 We have weekly events, photo shoots, live concerts, crazy warm up parties, DnB nights, fashion shows and much more. Come down and get involved people! We invite anyone, absolutely anyone to come and have a DJ slot! Music is a safe kind of high and we are always wearing our dancing shoes. Is your music what people should be listening to or do you want to test out your personal YouTube mixing skills in front of an audience then please contact us. Art is where work meets love! An artist is an explorer and we are adventure souls at Phanganist Hostel. 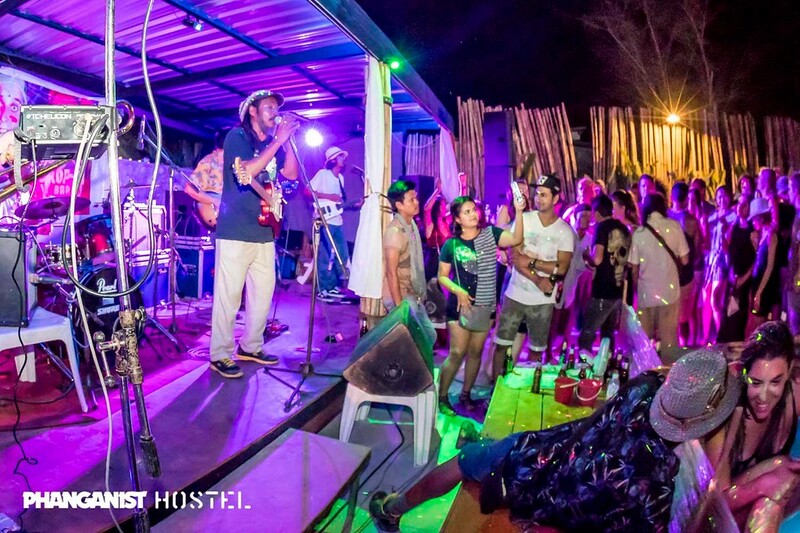 Any artists, performers, teachers or the like are so welcome to use Phanganist Hostel as their playground. We absolutely love showcasing artistic and creative events so come and test out your teaching skills by offering a class or sharing some of your knowledge and skills with other people. We are always open to any ideas! !